Home / Business / Bike Shops: Are you confused by the Cloud? BikeBiz: We’ve all heard about the Cloud and now Citrus-Lime is offering Cloud Reporting. 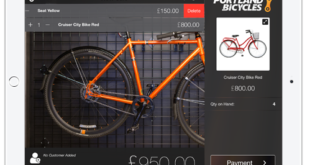 Can you explain in layman terms what that means and the benefits to bike retailers? Grant Hadwin: Cloud Reporting forms the basis of our Business Intelligence Module which is designed to help retailers make more educated and better business decisions. The fact that it is in the ‘Cloud’ means we are delivering this information through a web browser meaning it can be accessed from anywhere at any time. The whole module has been built from the ground up by our retail experts with feedback from our existing customers on what information they need to run a successful retail business. Cloud Reporting has a wealth of easy to use information including a particular focus on such things as ‘Achieved’ profit margin, Seasonal Range Planning and Stock Turn. This information combined with the Retail Consultancy & Training that Citrus-Lime can provide will help the IBDs build a sustainable business model that can give them the best possible platform to build and grow the business. BB: Your Supplier Integration Module (SIM) is an area of focus for you this year – how will that benefit your retailer partners? GH: SIM is a win/win scenario for both suppliers and retailers. Citrus-Lime have been pioneering this technology ever since getting involved in the Cycle Industry. The nature of this integration is dynamic and always being improved to include such features as product importing, cost/price updates and supplier stock checks both in store and online. The benefits of using this technology are a much more efficient use of time on admin tasks, creating more accurate databases which form the basis for better management reports and ultimately giving very easy and automatic access to supplier stock levels both in store and online. We believe that Citrus-Lime’s Supplier Integration Module forms the basis of the most innovative retail system specific to the Cycle market. BB: You’ve got a new look logo and website – are they live now? What improvements have you made? GH: Yeah, we are really happy with the new brand and the new site. We wanted our site to demonstrate our design team’s capabilities, showcasing what we can offer to potential customers. We hope from our website, our ‘potential customers’ can really get a feel of who we are and what we can do. 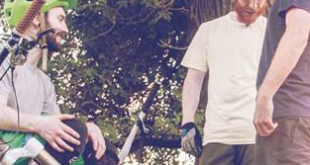 It’s important to us that operate in areas that we are all interested in, we all ride bikes and love the outdoors and therefore buy the product our customers are selling (although there’s a slight majority of mountain bikers over roadies in the company). You can see this when you look through the imagery on the site which is virtually all taken by our staff whilst out on the hills. The ethos of the new site is to showcase our services rather than the tech we need to provide them. There are multiple case studies to endorse how our services relate directly to the IBDs we work with. You will see a definite focus on who we are as people and as industry experts working with IBDs throughout the UK. BB: What kind of support do you offer customers once they’ve decided to work with Citrus-Lime? GH: I’d like to think we offer the only support service of any retail solutions provider that is delivered by retailers themselves, or at least ‘reformed’ retailers. Over the past few years we have recruited and grown the support team to include guys who used to work in cycle stores all over the UK and they definitely bring with them years of experience to help our customers. The support we offer includes technical and retail support with the majority of support we give being retail. You will see us offering more in-depth retail support and business intelligence in the near future. BB: Any final points for the trade? GH: If you have been keeping up to date with any of our marketing, you will have seen that we have been speaking a lot about Customer Rewards which is our points means prizes loyalty scheme and the importance of building relationships with customers both in store and online. Using Cloud Reporting we have already been able to establish without doubt that when Customer Reward Points are used the average transaction value is higher, meaning more profit and higher turnover. We have also been able to look at redemption rate across the entire scheme (of which there are currently approx. 170,000 active customers), and it is floating at approx. 30% meaning you only ever give away a fraction of the discount you are offering and thus improving profitability as a whole, literally putting money back in your pocket. Bottom line is if you give points, not discount you will build loyalty and ‘achieve’ higher profit. Also I know you guys wrote a recent article on the importance of Click and Collect, which is something we have been preaching about for the last 12 months as we feel this is of growing importance in 2015 which is largely been touted as the year of the convenience purchase. This years’ retail growth especially online will be driven by those retailers who have the most convenient offering to the consumer, Click & Collect and premium shipping options are amongst the most important features every modern day retail store needs to offer as it puts the control back in the consumers possession, improves customer service and in turn creates a connection between them and the store. This is yet another way of building those relationships and encouraging repeat business. 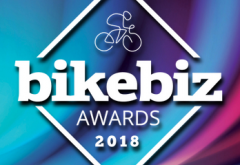 This article is an extended version of the one that appeared in March’s edition of BikeBiz, which you can read or download for free online.